Since 1980, Gamblin has handcrafted luscious oil colors and contemporary painting mediums that are true to historic working properties, yet safer and more permanent. 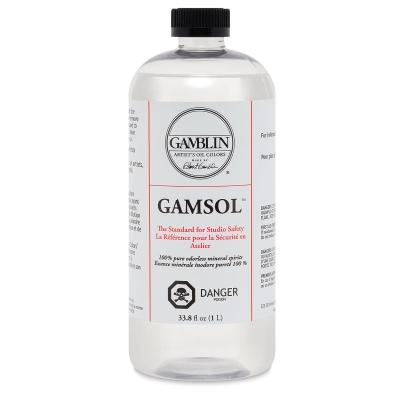 All of Gamblin's oil painting materials are handcrafted at the company's factory in Portland, Oregon. An excellent solvent for thinning Gamblin mediums, for general painting, and for studio and brush cleanup. It evaporates completely, leaving no residue, and the absence of the aromatic solvent component means painters can work with Gamsol five times longer than turpentine without adverse health effects.